An exploration of Hebrew roots, shorashim, that draws from a wide range of sources-Biblical and Rabbinic texts, contemporary authors, and a diverse collection of Israeli Hebrew: newspapers, advertising slogans, slang and graffiti. "Hebrew language is holy, its very letters sacred. Yet on Joe Lowin's hands, we see that it is also exuberant, full of rich treasures, fresh as well as ancient, funny as well as profound." 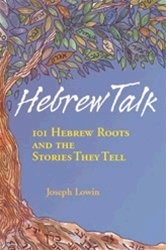 "This brilliant and captivating study of Hebrew roots reads like a series of tales that will enrich the knowledge of students and teachers alike."